ABSOLUTELY STUNNING! Rarely do unique properties like this come on the market. 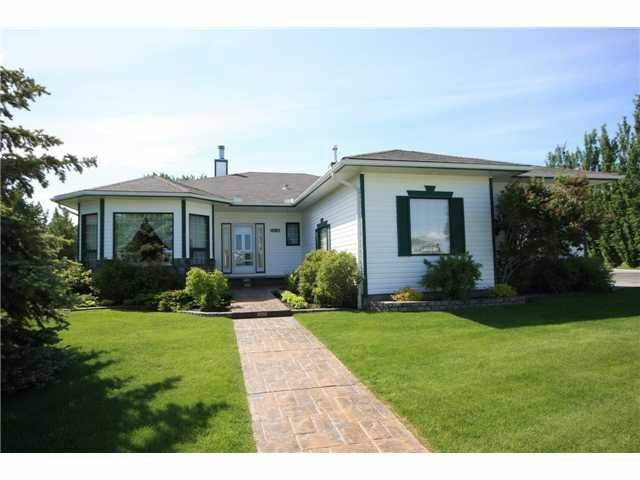 This immaculately kept bungalow sits on a 3rd of an acre on the 7th hole of the Highwood Golf Course. Surrounded by trees,rolling hills, creeks & chirping birds, this amazing property is like country living without all the maintenance demands. Every detail has been seen to here: underground sprinklers & irrigation system to your hanging planters, veggie garden, amazing back patio oasis, TWO double car garages, one with drainage & water hookup & RV parking with drain for emptying your holding tank. Air-conditioning, in-floor heating, stamped concrete patio/front walk, perfectly manicured lawn & separate entrance to basement from the garage. This home is 'Easy to Love',an absolute must see! If you've been dreaming about escaping the hustle & bustle for a quiet, serene & relaxed lifestyle,this is your opportunity. Hurry, properties like this don't last. See more by clicking on Additional Photos.